When I am attracted to a potential subject, I "sketch" with my camera, observing it at various angles and from different points of view, all the while taking pictures and checking my results. 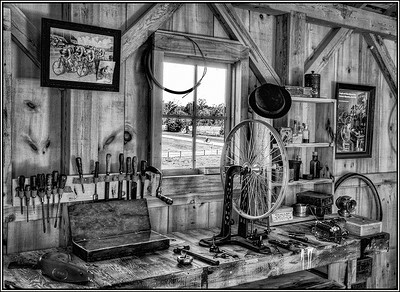 A subject like an old barn can hold hundreds of compositions waiting to be captured. If I lose my way while sketching, I stop and recall what it was that initially attracted me to the subject, and I begin again. It is a labor of love. My goal is to capture the beauty of a subject by challenging myself to find new ways to see. I would like the viewer of my work to come away with a new insight and appreciation of the subject. 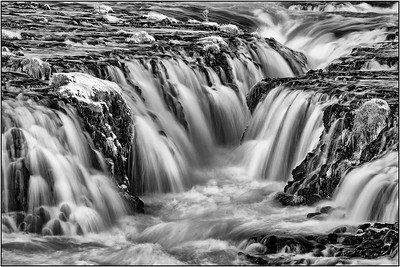 I have been a member of the Chicago Area Camera Clubs Association for over twenty-five years, and have presented many educational programs and written numerous photo-related articles. My work has been on display at The Clearing and the Hardy Gallery in Door County, Wisconsin, and in the Chicago area, it has been featured at the Renaissance Gallery of the Chicago Cultural Center and in juried shows at the Lake County Discovery Museum and the Brickton Art Gallery. 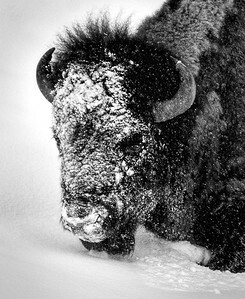 In the Du Page County (Illinois) Nature Art and Photo Show, I earned the Best of Show award for photography in 2016 and 2017 for monochrome images of Yellowstone in winter. 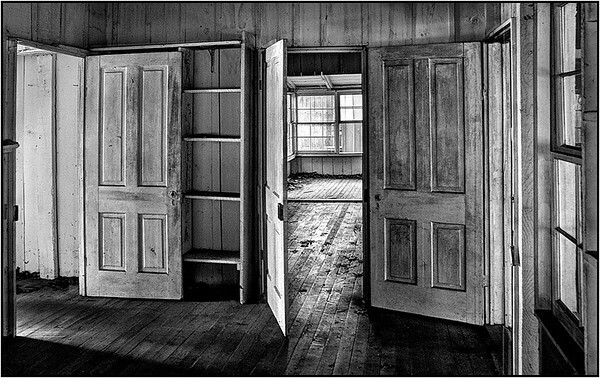 My Portfolio (Door County in Winter Portfolio) was honored with the prestigious Photographic Society of America Portfolio Distinction Award in 2016. My husband Joe (also a photographer) and I spend about a third of the year -- a week or two at a time in all seasons -- in Door County. 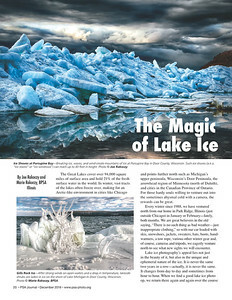 Winter is our favorite time to photograph, and we have compiled many of our favorite winter images in our article, “The Magic of Lake Ice,” which appeared in the PSA Journal in December 2016 and is in one of the galleries at right.